During Restaurant Week diners can expect to save more than $50 per person, as Butcher & Singer sets the bar at the top of the savings curve. Butcher & Singer’s classic steak house offerings are available during lunch and dinner in the space held for years by the iconic Striped Bass. 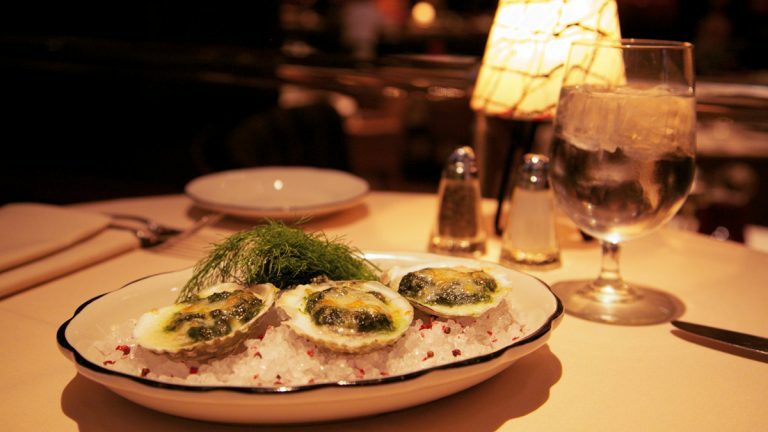 The menu, already available online, offers a choice of appetizer, including the Oysters Rockefeller, pictured above, choice of entrée, veggie, and dessert.